The murder of a security guard at a nuclear research center located near the Belgian city of Charleroi two days after Brussels attack is not linked to any terrorist activity, prosecutor says dispelling earlier media reports. The Charleroi prosecutor's office in charge of the case "formally denied" any link between the murder of Didier Prospero, a security guard from the G4S international security firm, who worked at the National Institute of radioelements (IRE ELiT) in the town of Fleurus not far from Charleroi, and any planned terror attack, the Belga news agency reported, citing the Charleroi prosecutor. The prosecutor also denied earlier media reports that Prospero’s access badge was stolen, Belga reports. Prospero was found dead in the bathroom at his home in Froidchapelle by his three children as they returned from school on Thursday. He was shot four times and his dog was also killed. He was in charge of security at the IRE ELiT that specializes in production of radiochemical and radiopharmaceutical products as well as in radioactivity analysis. The case is being handled by criminal investigators while anti-terror specialists are not involved, Belga reports. According to the local Derniere Heure newspaper, the investigation is working on two tracks: a burglary gone wrong and a crime related to the personal affairs of the victim. 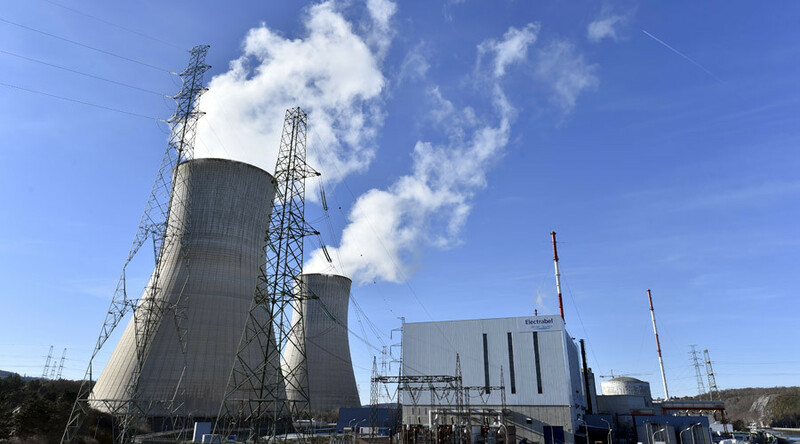 In the meantime, officials from the Belgian Electrabel energy company that runs the neighboring Charleroi nuclear power plant stated that its personnel is not affected by the incident. "No personnel of Electrabel or one of its sub-contractors working on sites was murdered this week," a company official said as quoted by the Derniere Heure. The company representative also stressed that authorization needed to get access to the nuclear site is issued by the National Security Authority and, in case of death, all clearances are immediately removed. Earlier on Thursday, Derniere Heure reported that Prospero was a member of a nuclear power plant staff and that his security pass was stolen. The paper also recently reported that Brussels suicide bombers Khalid and Ibrahim El Bakraoui were planning attacks on Belgian nuclear power stations and that the arrest of Paris attacker Salah Abdeslam had accelerated the plans of the terrorists. The brothers reportedly planted a hidden camera in front of the home of the director of the Belgian nuclear research program. The footage with “dozens of hours” of the movements of Belgium's nuclear boss was seized during an anti-terrorist raid in the apartment of another suspect belonging to the same terror cell, Mohammed Bakkali. Similar information, but without the names of Brussels suicide bombers was published in DH in February. Belgium is on high alert following the deadly Brussels attacks. On Tuesday, Brussels was rocked by twin blasts at the city’s Zaventem Airport and an explosion at the Maalbeek Metro station, just meters away from key EU buildings, less than an hour later. Shortly after the deadly Brussels attacks, personnel from Belgium’s two nuclear power stations in Doel and in Tihange were promptly evacuated. DH also reported that soldiers have been seen at both sites in recent weeks.